Spanish film pioneer Segundo de Chomón spent most of his influential career associated with Pathé Laboratories. 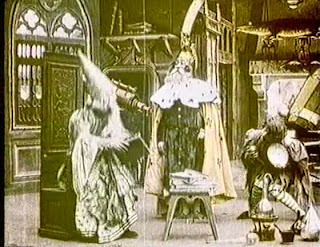 Chomón joined the company in 1901 and set up a laboratory for adding color to film in Barcelona. He started directing newsreels the following year. Chomón's innovations include the development of several camera tricks, including single-frame techniques, optical dissolves, and complicated traveling shots. 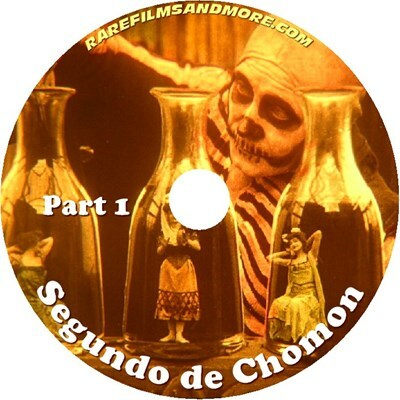 In 1902, Chomón successfully combined live-action with miniatures in the short Choque de Trenes/Collision of Trains. In 1905, he was the first Spanish filmmaker to use stop-motion techniques in Eclipse de Sol/Eclipse of the Sun. Toward the end of 1905, Chomón relocated to Paris to direct over 100 short films for Pathé; he also shared his techniques with other directors. He first used the traveling shot (the first time it was ever used) in a scene for La Vie et la Passion de Notre Seigneur Jesus Christ/The Life and Passion of Jesus Christ (1907), which was directed by Ferdinand Zecca and Lucien Nonguet. 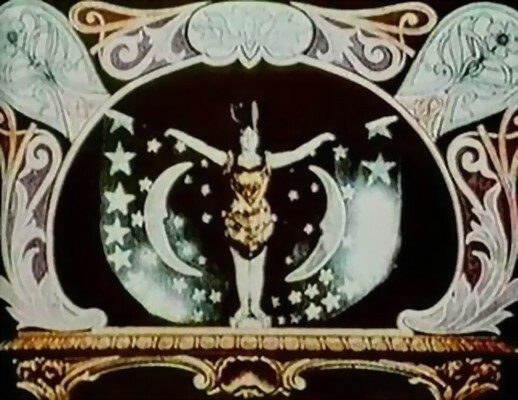 Chomón accomplished the shot by devising a special skating device, and perfected the special shot while filming Cabiria for Italian director Giovanni Pastrone in 1914. 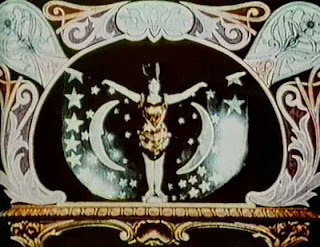 In 1909, Chomón was among the first to use silhouettes in one of the first animated films, the surreal Une Excursion Incoherente/Traveler's Nightmare. Chomón returned to Barcelona in 1910 and worked closely with Juan Fuster to create a series of short fiction films. In 1911, he produced a series of travel documentaries for Pathé and later in the year founded Ibérico, his own production company (he released his films through Pathé). Chomón moved to Italy in 1912 and worked as a cinematographer and special effects technician with the Italia Film company, for whom Chomón also directed several animated shorts. Chomón co-invented a two-tone color process in the 1920s with Swiss engineer Ernest Zollinger. The pair later exhibited two color films at various science expos. Chomón died of illness in Paris in 1929 shortly after returning from Morocco where he was shooting color footage. DVD-Rs ARE Approximately 325 minutes long. PURELY VISUAL EXPERIENCE; SILENT FILMS WITH NO MUSIC. INTERTITLES, WHERE PROVIDED, ARE IN SPANISH AND FRENCH. VERY EASY TO COMPREHEND WHAT IS GOING ON EVEN WITHOUT THEM.